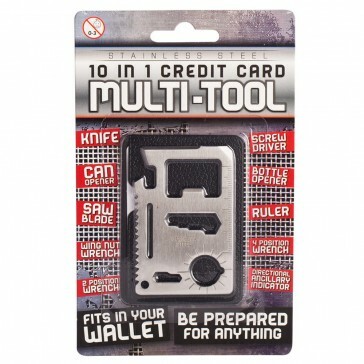 This 11-in-1 pocket-sized multi-tool is ideal for just about everyone. It has 11 different tools built right into the body for countless numbers of uses, and is sure to never fail you when you need it. 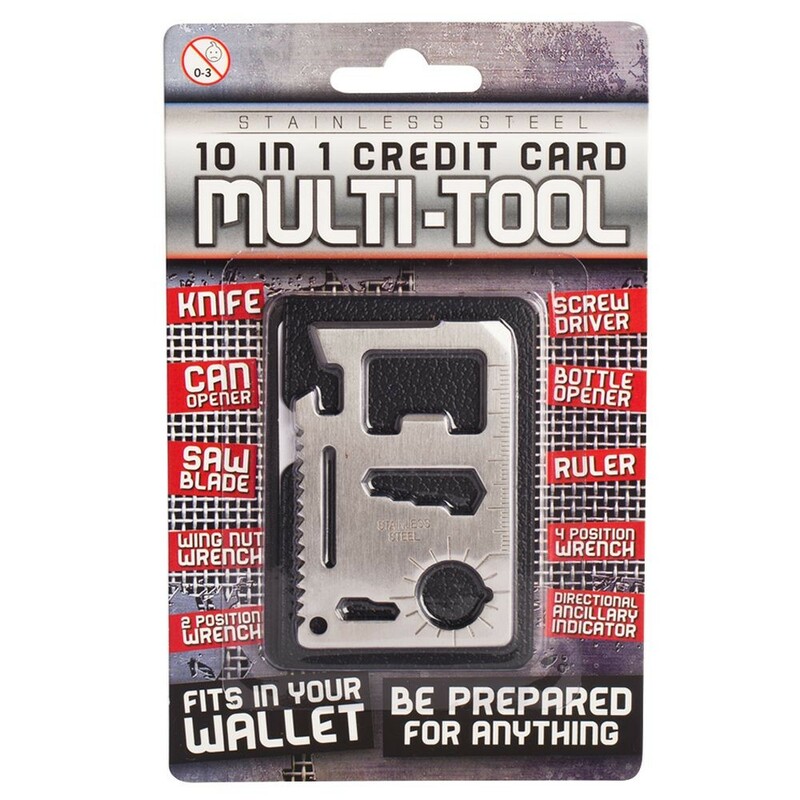 It is smaller than a credit card, so it's easy to store in your wallet, where it can stay concealed in it's protective case for any amount of time. 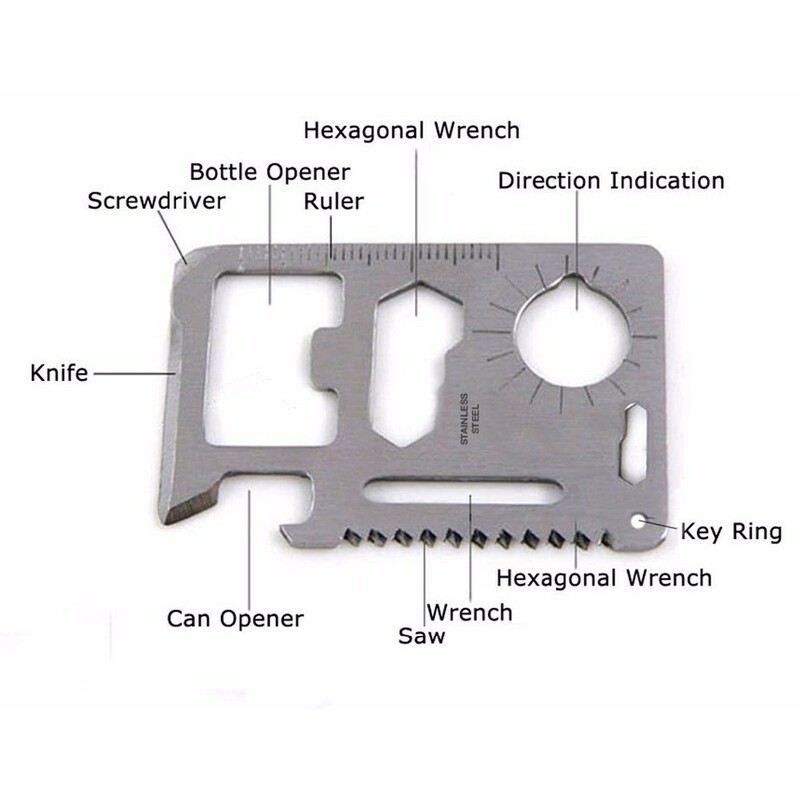 It's constructed from thick gauge stainless steel, so you know that it's strong enough to handle more abuse than the rest of your wallet can handle.